Subscribe & get exclusive monthly Pacific updates straight to your inbox. ﻿﻿TNC Pacific Consulting is renowned for providing high quality research, analysis and strategy for and in the Pacific island region. 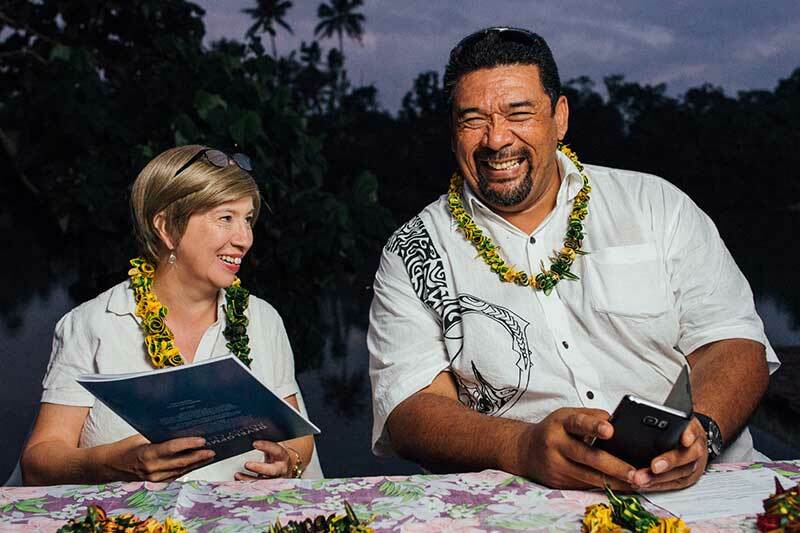 Our principal, Tess Newton Cain, is a recognised thought leader on Pacific development, politics and policy. Drawing on her extensive connections and years of experience based in the region, she provides clients from government, the private sector and civil society with high quality knowledge products that add value to development projects, policy formulation and business activities. With more than 20 years’ experience of living and working in the Pacific, I understand its needs, local customs, issues and challenges, and have built strong networks and productive relationships with policy makers, opinion formers, key institutions, private sector operators and development partners. All of these relationships are based on a strong mutual trust. Formerly a Lecturer at the University of the South Pacific, my clients have included the United Nations, the World Bank, the International Finance Corporation, The World Health Organization, the Asian Development Bank, the Pacific Leadership Program, and the Pacific Islands Forum Secretariat, as well as DFAT and the New Zealand Government. If you are a development agency or NGO needing more and better information about the Pacific context for your work or a business looking to enter a new and unfamiliar Pacific market, I can provide you with the research, analysis and strategy you will need." We work with national, regional and international clients to share Pacific research and analysis across multiple sectors. We create high-impact knowledge products, devise and implement dissemination strategies and facilitate events of all types. We work with a wide range of clients to develop more and better approaches to the understanding and pursuit of regionalism and all that it entails. We provide support to private sector and civil society entities in navigating the sub-regional and regional environments to best effect. We contribute research and analysis to national, regional and international programmes focused on policy formulation. We provide high-level advice to politicians, policy-makers and other stakeholders to guide development agendas in the Pacific island region. "It's very important to me to work on projects that are about supporting the development and growth of the Pacific Island Region, a region that I believe has a great deal of potential, and I choose to work with people who believe the same." Getting business (of any kind) done in the Pacific island region requires rigorous research, nuanced analysis and strategies that deliver results. Find out more about how TNC Pacific Consulting can help. TNC Pacific Consulting makes presentations, participate in conferences and address a wide range of audiences on issues that are current in the Pacific and important to the development of the region. In addition to regular blogging, TNC Pacific Consulting regularly releases books, op-eds and other insights on Pacific policy, development and regionalism. 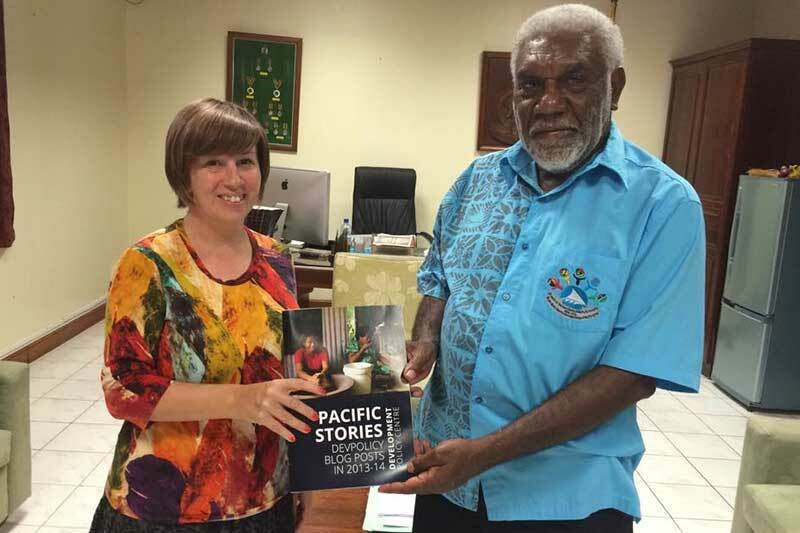 Presenting Rt Hon Joe Natuman, then PM of Vanuatu, with a copy of her book "Pacific Stories." 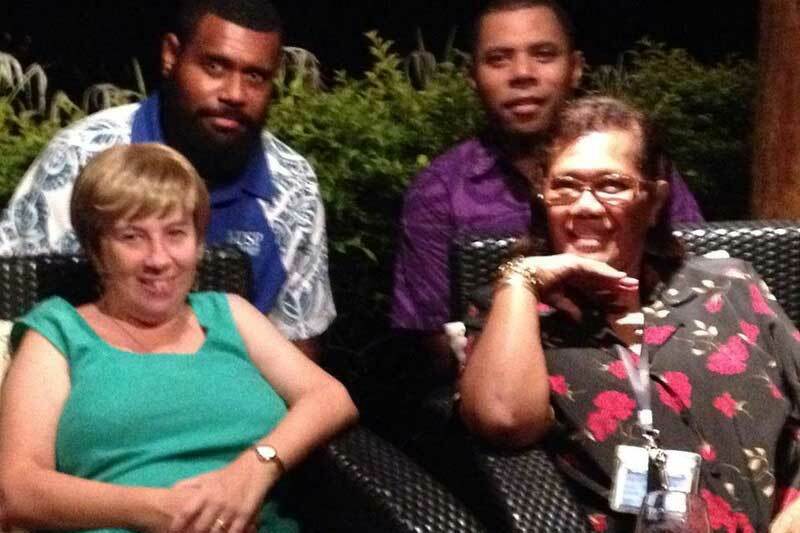 Discussing regional politics with Ambassador Litia Mawi, Jope Tarai & Peni Tawake in Suva. 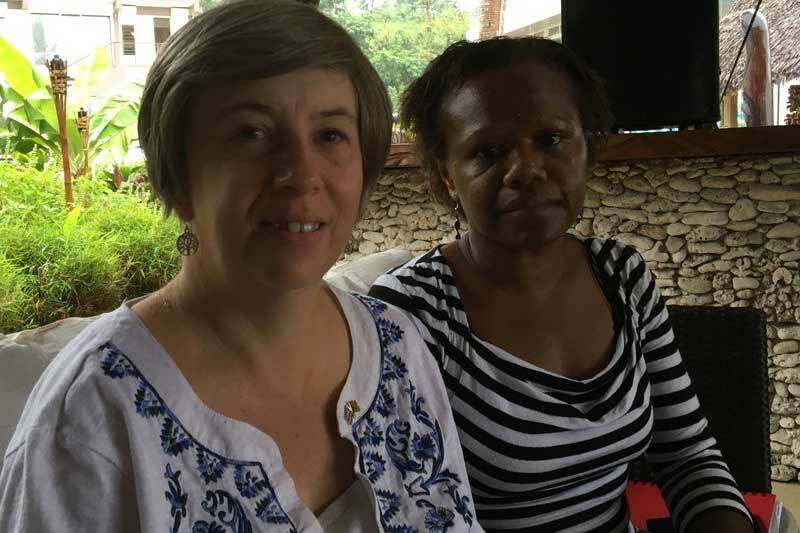 With Rebecca Olul, Communications Officer for UNICEF Vanuatu, on Coffee & Controversy. Launching "Pacific Stories 2" with Fe'iloakitau Kaho Tevi at Hannington's in Port Vila.